Editor's note: This essay is reprinted from the November 2015 Shareholders e-newsletter from the School of Business, Government, and Economics. I love Seattle Pacific’s mission to engage the culture and change the world, and sometimes the world’s crises present themselves right at our doorsteps. I found myself faced with just such an opportunity this summer when I attended a geography conference in Budapest, Hungary. By happenstance, I had chosen a hotel only a few blocks from Keleti Station, where the river of migrants from Syria, Iraq, and other places was flowing through my host country. Occupied with the academic conference at the university on the other side of the Danube, I noted the issue in the news and only began to pay attention when at night I heard an endless stream of police sirens and helicopters circling overhead. CNN reported there were “several hundred” migrant families camped out at the train station near my hotel. I have learned after many years of teaching at Seattle Pacific that such events can be a gift in terms of my own understanding of world events and the hope I could convey something of personal observation to my students back at SPU. So I went to the station the day after I finished my conference presentation. What I witnessed took my breath away. 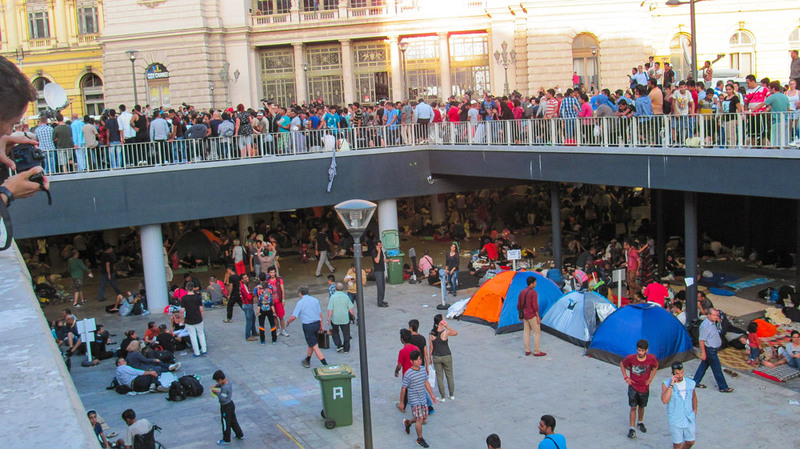 There were definitely not “hundreds” of people at the Keleti Station; there were thousands. As I crossed the street and descended the steps into the underground Metro part of the station, I could feel sobs beginning in my throat. So many people, so many souls needing help, so many of God’s children looking for safety and a better life were spread out before me, talking in groups, huddled in families on the floor, peeking out from tents. What the news media could not capture was how deafening the noise was when that much of humanity is crammed into a small space. I went up to the first woman I saw and greeted her, an old women in black traditional dress, looking tired and defeated next to her grandchildren. Walking among the people, I tried to be respectful and not take too many pictures because I felt intuitively they were already being scrutinized by the mass of international press who was present. But I thought of my students and realized I was witnessing a historic event and one I needed to try to help them experience. 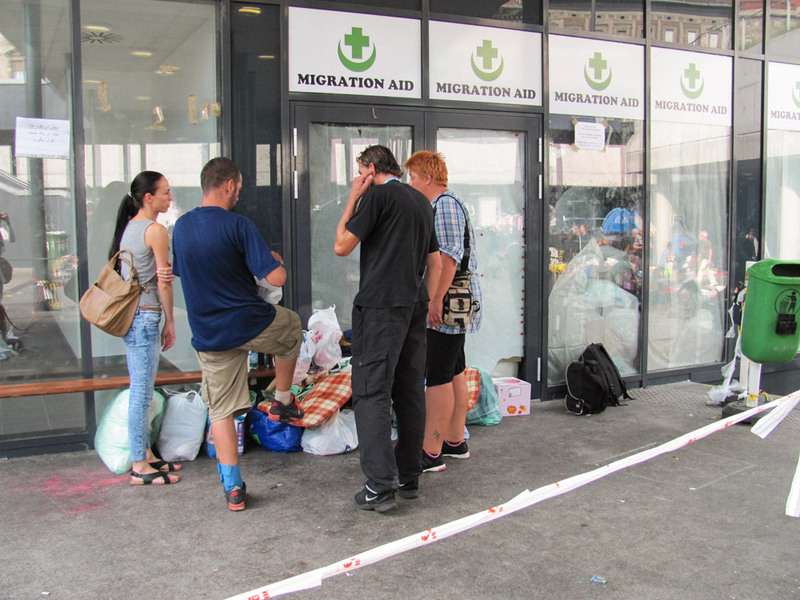 I visited the station several times, taking baby care products to the kind Hungarian volunteers at Migration Aid. I also began to differentiate the various people in the crowds, knowing that the one size-fits-all news coverage was failing to point out how varied were the migrants: some were young and fashionable women, some were parents with babies or children, many were angry young men in groups, often with cell phones, staring down the burly Hungarian officials in red hats or helmets, in dark blue uniforms labeled with “Rendőrség” (Police), carrying nightsticks or weapons. I saw press vans and local television or CNN reporters descend on the migrants as the city set up portable toilets and piped in water. I watched local volunteers who picked up trash or engaged the children with face painting or games. 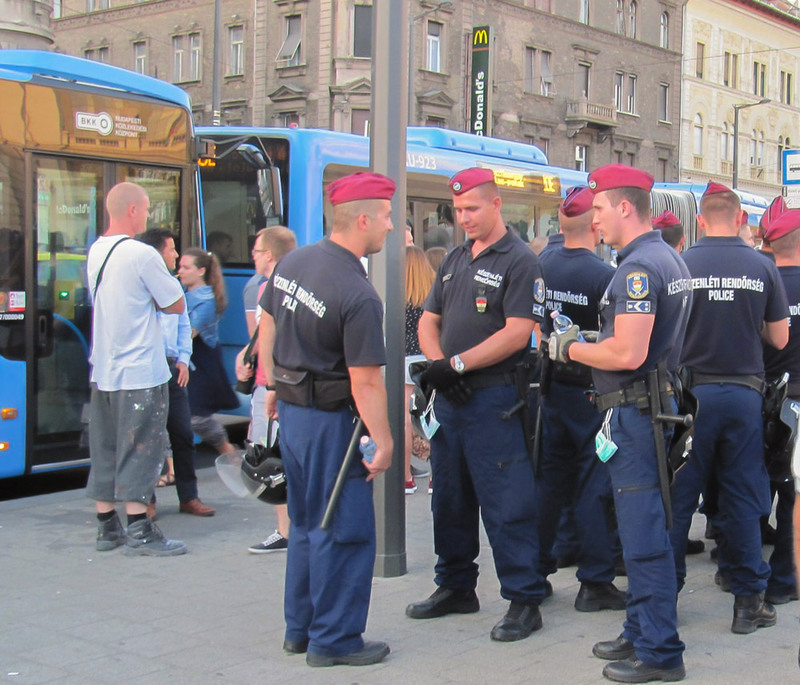 And I saw everyday Hungarians walking by, trying to get to work on the Metro, looking worried or disgusted at the scene, mixed in with the usual crush of young students with backpacks travelling Europe for the summer. 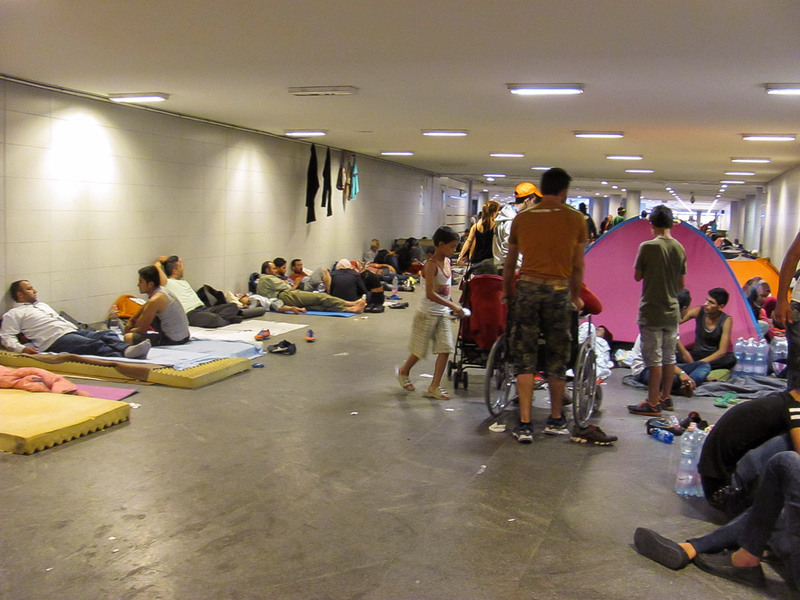 And nearby, I saw Hungary’s poor and homeless, who also live on the streets near transport stations. I appreciated the earnest and worried faces of Hungarian academics at the European Geography conference as I asked them what they thought of the situation. Some responded they were no fans of the government, which they felt was xenophobic; others tried gently to explain that the unemployment rate was already high in their country, that they were trying hard to improve finances so Hungary could qualify for the euro zone, that they could not put pity for the migrants ahead of concerns for their own citizens. But I saw so much more during my stay in Hungary that helped me understand the complexity of this crisis in Europe. As I moved out of Budapest, I visited the Carpathian Basin, a land open to two thousand years of invasions, the peculiar geography of being caught between east and west. In museums, I saw expressions of national pride in the history of this culture, understanding that the ancient Hungarians had themselves once been invaders too. In one museum in the town of Szentendre, I experienced an exhibit about the forced removal of the Swabian Germans after World War II, a hands-on display set up to educate Hungarian children and develop their compassion, with many replicas of old personal effects in the room: what would you take with you on 24 hours’ notice if limited to what you could carry? A small suitcase? A box of treasured family photos? And everywhere there was evidence that World War 2 was only yesterday: at the memorial to the Jewish holocaust, at maps displaying the territory that was lost, at sometimes awkward explanations of the role of the Hungarian government at the time, a tone of regret, humiliation, and betrayal. I constantly mulled over how to turn this opportunity into a learning experience for my students. The mission of the School of Business, Government, and Economics is to develop leaders who advance human flourishing through service: how do we help our students make sense of such an acute crisis? How do we help them move beyond the facile popular media’s attempt to define who are the good guys and bad guys? And, above all, how do we keep alive in our students that wonderful Christian virtue of hope — that through education and service we can help our fellow human beings move beyond such calamities? 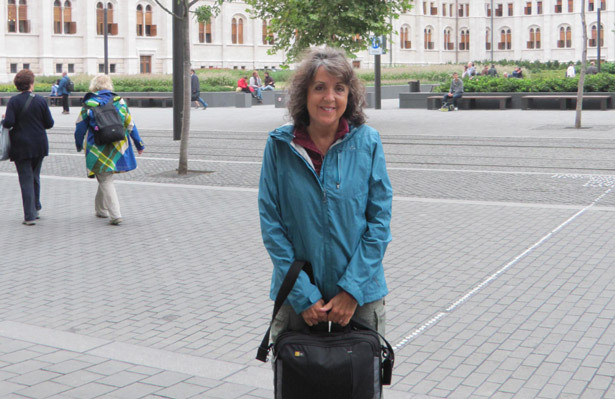 Kathleen Braden is professor of geography at SPU since 1982. She was in Budapest to present her paper, “Environmental Governance of Recreational Hunting in Russia,” at the fifth EUGEO Congress on the Geography of Europe, held at Eötvös Loránd University in August 2015.